Madikizela-Mandela tributes - SABC News - Breaking news, special reports, world, business, sport coverage of all South African current events. Africa's news leader. 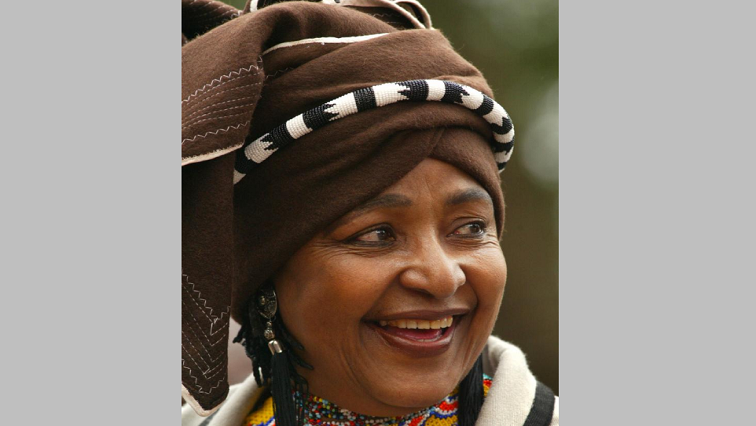 ANC Stalwart Winnie Madikizela-Mandela died at the age of 81. Tributes for Winnie Madikizela-Mandela came from far and wide, but maybe perhaps the most moving was that of Zenani Mandela paying tribute to her mother. In the tribute, Winnie was described as someone who dared to take on one of the most powerful and evil regimes of the past century‚ and she triumphed. US civil rights activist, the Reverend Jesse Jackson said Madikizela-Mandela is a light that would not go out. He says: “It was Winnie who stood up for the peace. The light that would not go out. She was the rock by which we were protected and her resistance in fact led the ground work for those who were in jail to get out and those who weren’t home to get back home.” Madikizela-Mandela has been described as a defining symbol of the struggle against apartheid who refused to be bowed by the imprisonment of her husband, the harassment of her family by security forces, detentions, banning or banishment. While acting AbaThembu King Azenathi Dalindyebo told mourners at Winnie Madikizela-Mandela’s funeral that they owe her maternal family an apology. “Our wish was to have her buried in the family home at Qunu, but we understand that she could not be boxed in life and in death. She is far bigger to belong to us only,” said Dalindyebo. The struggle stalwart, who was a social worker by profession was also remembered as someone who took the role of being a social worker beyond the four walls of Baragwanath Hospital, where she worked. Not only was she remembered for the work she has done, but Madikizela-Mandela was remembered as someone who personified the meaning of speaking truth to power. As the country bid farewell to her, South Africans have been urged to embody the spirit of Madikizela-Mandela by holding public servants accountable. As part of remembering Madikizela-Mandela the ANC launched Winnie Mandela food gardens, which the party envisages to be rolled out throughout the country as well as renovation work at identified child-headed homes and homes for the elderly in the area. ANC member Siyabonga Cwele says the party will forever be indebted to Madikizela-Mandela. Her death according to many has left the country orphaned as she was the Mother of the Nation. President Ramaphosa has described Mama Winnie as was a diamond, built to shine, never to break. In remembering Madikizela-Mandela the Progressive Women’s Movement of South Africa (PWMSA) hosted a candle light memorial service.